Incredibly powerful information! Dr. Rob is very knowledgable and absolutely knows what he is talking about. What is impressive is that it is very obvious he lives what he preaches and so does his team. I am very excited about my results! Check out America's Fitness Doctor to see hundreds of videos and articles. Created by Dr. 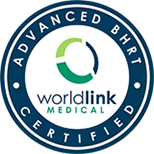 Rob - Aimed at improving your health and wellness through the practice of Precision Medicine. 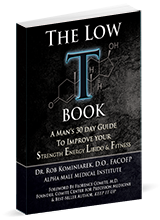 Low-T Treatment Center | Low Testosterone Treatment © 2019. All Rights Reserved.